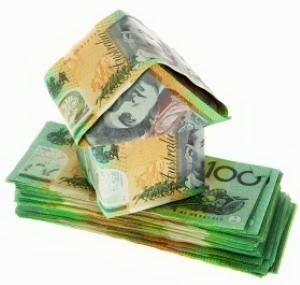 The Reserve Bank of Australia (RBA) has dropped the cash rate by 25 basis points today to 2.5% ushering in a new modern day low. In what some homeowners will see as an early election gift, the weakest annual retail sales growth in 50 years has seen the Reserve Bank ignore the forthcoming election to cut interest rates in an attempt to boost the faltering economy. Banks and mortgage lenders have been quick to pass on the full Reserve Bank rate cut, with NAB, CBA and Westpac passing on the rate cut in full. The ANZ Bank is yet to make a decision until the board meets on 9th August. The National Australia Bank was the first to action today’s rate, cutting its standard variable home loan rate by a quarter of a percentage point to 5.88 per cent from August 12. Westpac cut its standard variable rate by 0.28 per cent, effective from August 19, going beyond the 0.25% announced today by the RBA. CBA cut both its Standard Variable Home Loan and its Residentially-Secured Better Business Loan by 0.25 per cent, effective from August 14. By cutting official interest rates by 0.25 percent, this delivers a $45 cut to the average monthly mortgage payment for home owners with $300,000 home loan. What are your thoughts? Do you think cutting interest rates will result in a boost to spending, shore up the economy and boost consumer confidence? We’re a group of volunteers and starting a brand new scheme in our community. Your website provided us with useful information to paintings on. You’ve done an impressive job and our entire neighborhood might be thankful to you.